The technology to reduce steam leakages at the gaps of steam turbine are currently under development around the world for improvement of steam turbine efficiency for power generation. Accordingly, brush seal that more advanced technology than existing labyrinth seal has been being developed. The effect of brush seal on the turbine efficiency was proved by overseas leading companies. KIST developed analytical model of brush seal structure and mathematical modeling. 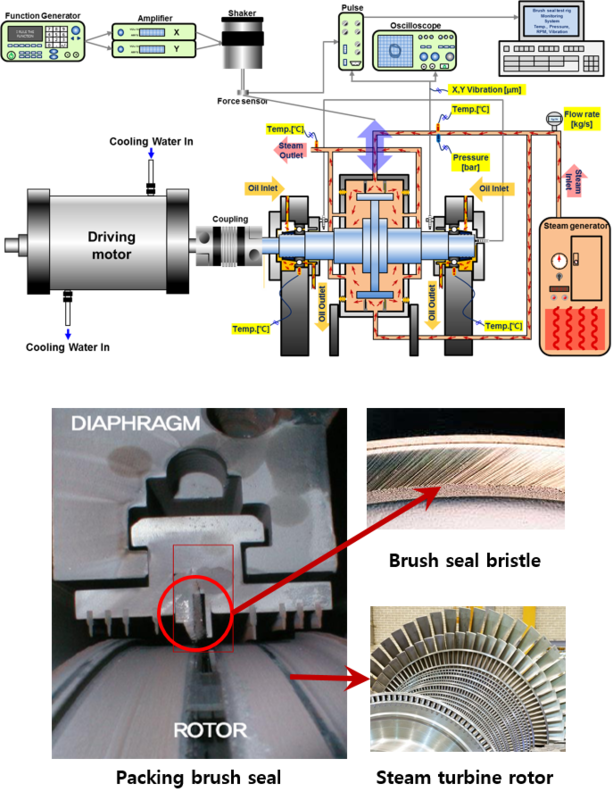 Also, we design test apparatus considering actual working condition of brush seal in steam turbine. KIST will conduct experiment to measurement of static, dynamic behavior and performance of brush seal. Goal of development of Brush seal is localization development to achieve an advantage of technical, industrial and economic effects which can be one of the growth engines in the future for our country.